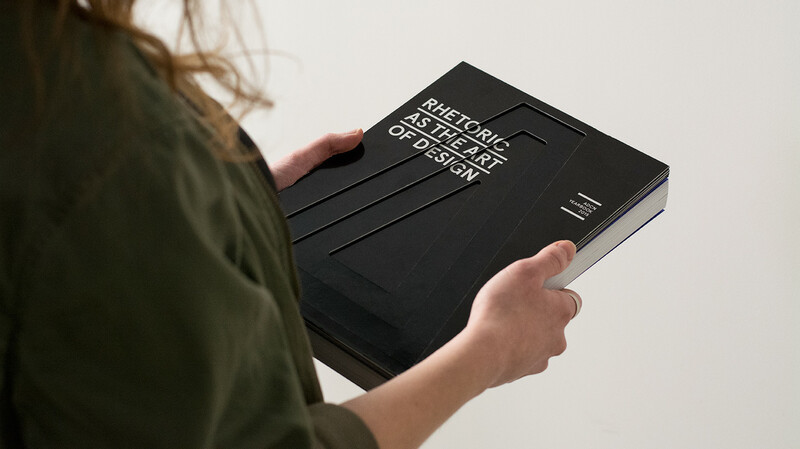 Once a year Art Directors Club Nederland (ADCN) publishes a yearbook with the best work in the Dutch design world. Designing the cover is a prestigious job to do. This year we were one of 12 design teams to be selected to create a unique cover. We created a cover that constantly shows the emotions of the book. The given task was to design a book cover that would push the boundaries and show the design world what a cover of the future could be like. So we started by thinking about the core of a book. What is a book? What would it want in life? What would it hate? How would it think? With this in mind we created a book cover that could show the simple thoughts and emotions of a book. What does a book want? All a book wants in life is to be read, looked at and cherished. It doesn’t want to stand on a book shelf and do nothing, it wants to be held. The more attention you give a book, the more it will shine and love you. But if you put it back on the shelve and forget about it the book will slowly become sad and fade away. With the technical help from our friends at Q42 we created a book that would know when it was being held and looked at and when it was standing lonely on a book shelf. The moment the book is standing it will become sad and slowly fade to black. But as soon as you pick it up and start looking into it the book will notice this and warm up to you. Energy will flow through it and the longer you read the book, the more it will trust you and show of its cover. From faded away to becoming happy doesn’t happen instantly. We created a cover with four layers. The more layers you see, the happier the book is with your attention. 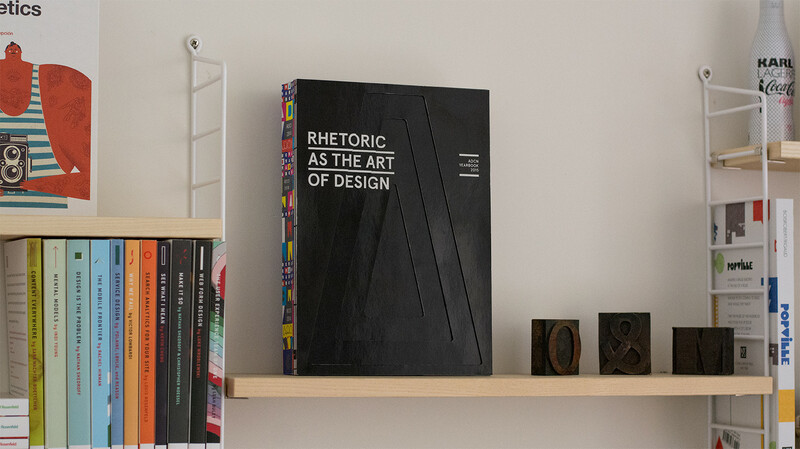 The three inner layers of the book depict the elements of rhetoric: the art of discourse. On the one hand these are the elements that every designer works with in order to create good design, and on the other hand these are the layers of the book and show its trust in you.